Rare Cocoa Beach waterfront condo featuring your own boat dock with lift. Open floor plan allows for easy entertaining. Enjoy coffee on the lanai while watching the manatees and dolphins. Beautifully updated 2 bedroom, 2 bath home. Tile throughout, kitchen has a huge Island with silestone counter tops, Stainless Steel Appliances, soft close Cabinets. Bathrooms totally redone with beautiful tile work, frameless glass enclosure in Master bath, soft close cabinetry. Laundry room with washer and Dryer. Hurricane shutters included. Single car garage with pedestrian door and garage door opener. Close to everything yet not too close. 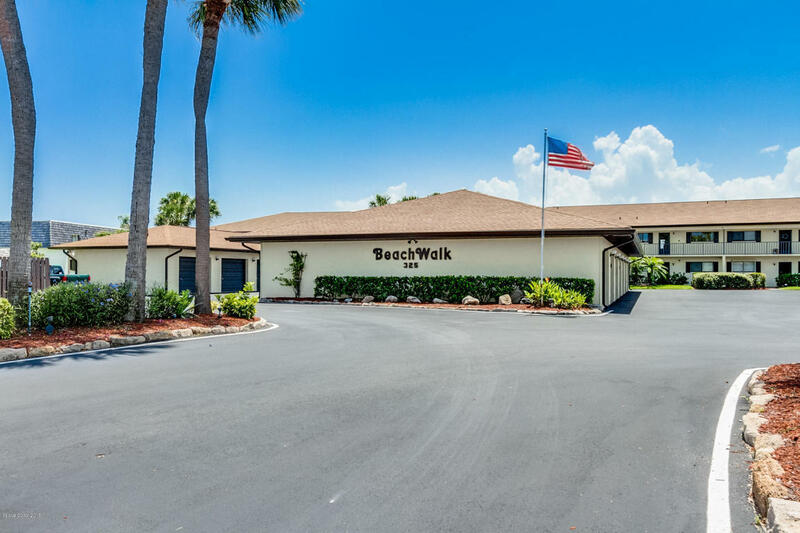 Walk to the beach then come home and enjoy the beautiful community pool. You don't want to miss this one! !